Nike‘s Air Huarache has most recently received Premium chenille accents and stealthy camo print colorways. This time, the classic runner takes a break from the beige looks with a bold “Black/Sun Red” edition that channels the Air Yeezy “Blink” color scheme. 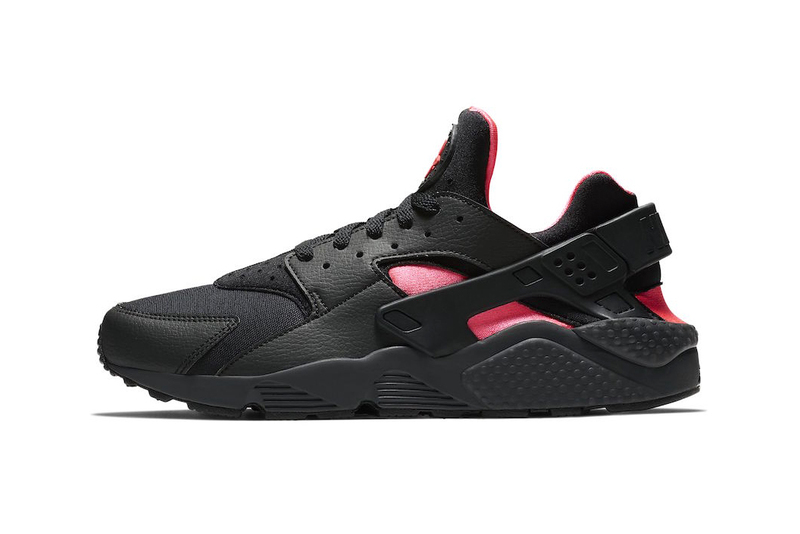 Look for the Nike Air Huarache “Black/Sun Red” to hit Nike’s web store and select Swoosh stockists for a retail price of $110 USD in the near future. In the meantime, check out the adidas NMD_R1’s “Micropacer”-inspired colorway. Machine Gun Kelly Drops 'Binge' EP Feat. Eminem Diss Track "Rap Devil"